Happy Monday! I hope you enjoy the pun in the title of today's post! It's always good to start the day with a little laughter, right? 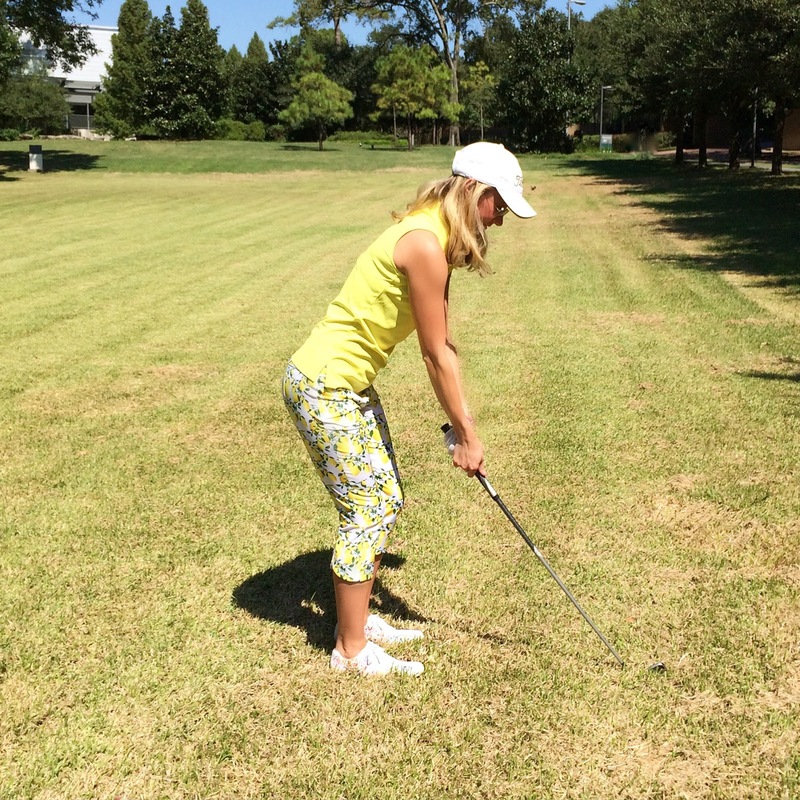 We had gorgeous weather this weekend, so we hit the golf course to take in the sunshine, the cooler weather and play a round of golf. Let me tell you, I'm finding excuses to play all the time since I discovered this uber chic clothing line from designer, Catherine Wingate. To say it was love at first sight may be an understatement! 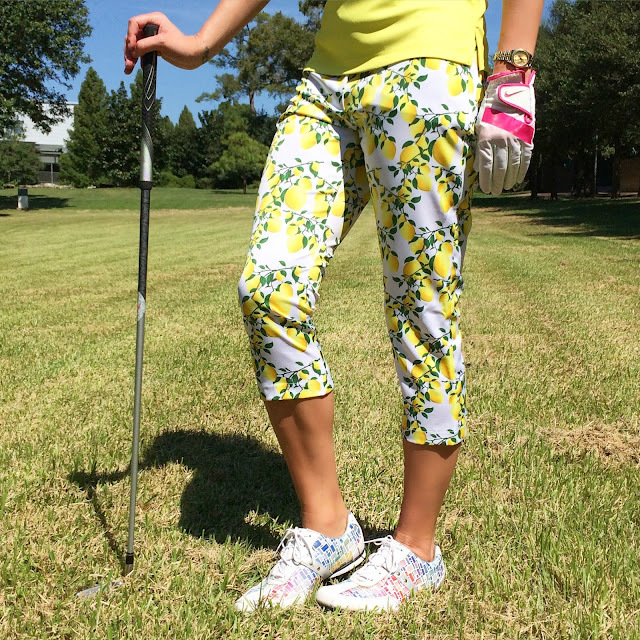 I love the pattern on these lemon grove capris, and how they match perfectly with my yellow polo (you know how I love to match!). 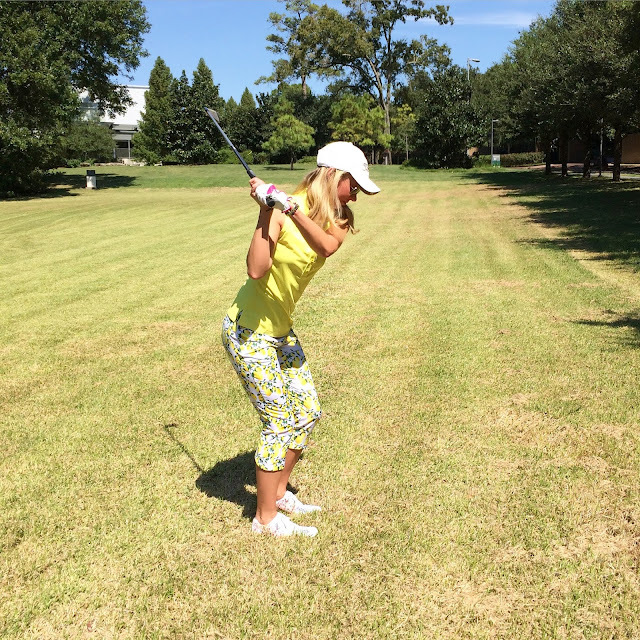 Not only is the clothing lightweight and breathable, but is also flatters your figure perfectly. 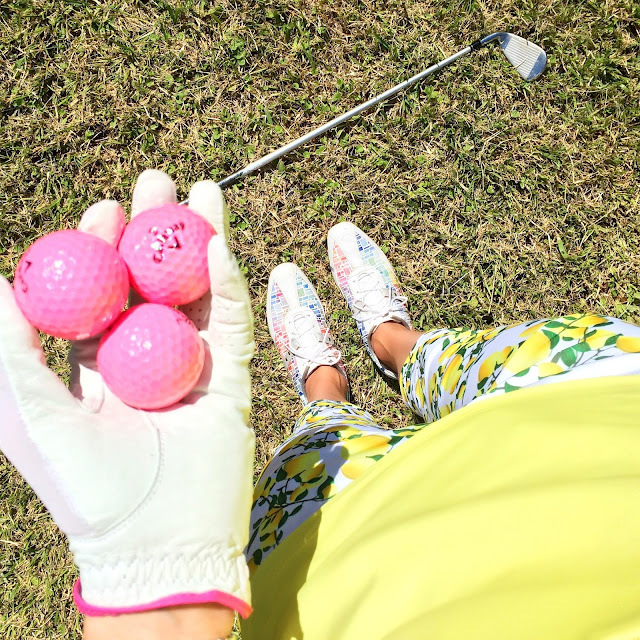 It is feminine but still adheres to the strict golf guidelines/dress code that is still present at many clubs. Once you're done with your 18th hole, this outfit is definitely stylish enough to take you into the club house for the 19th hole - aka cocktail time! Whoever said you couldn't be fashionable while playing sports has met their match. Life is too short to not be fashionable wherever you go! Be sure to check out all the amazing pieces from Catherine Wingate, and receive 15% off with code: ashleynstyle.